MANILA, Philippines - Over the past years, several netizens have come up with unique ways to save money that inspired many to do the same thing. Through money-saving challenges, many were able to save five figures, despite having a small income, in just a matter of months. So how exactly did he do it? 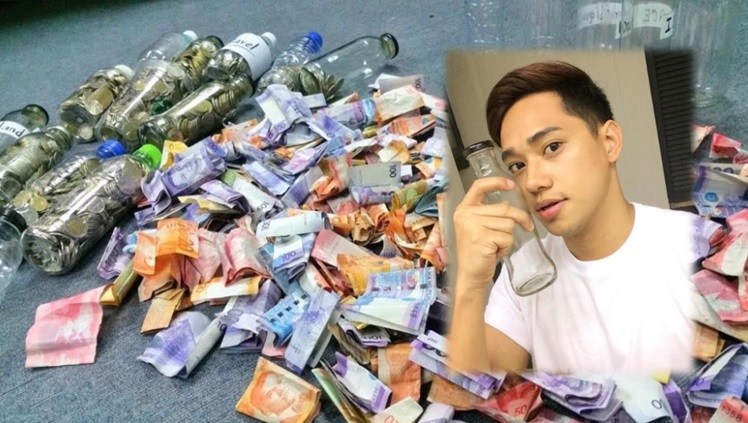 According to Antonio, he got inspired to do the challenge by the drinking bottles he often bought from 7-Eleven and Mini stop stores. “Madalas ka bang bumili sa 711 or Mini Stop ng inumin? Pareho tayo. Haha. Minsan tinatago ko yung mga bote pagkakaubos. Ginagawa kong lagayan ng tubig pero madalas tinatapon ko. Aanhin ko naman kasi diba, pantambak lang. Pero alam nyo salamat sa mga boteng ito, malaki pala ang silbi niya,” Antonio wrote. He then came up with a bright idea after noticing that he had lots of coins in his pocket. Antonio decided to put his coins inside the empty bottle placed inside his locker. From then on, Antonio made it a habit to put coins inside the bottle every day. 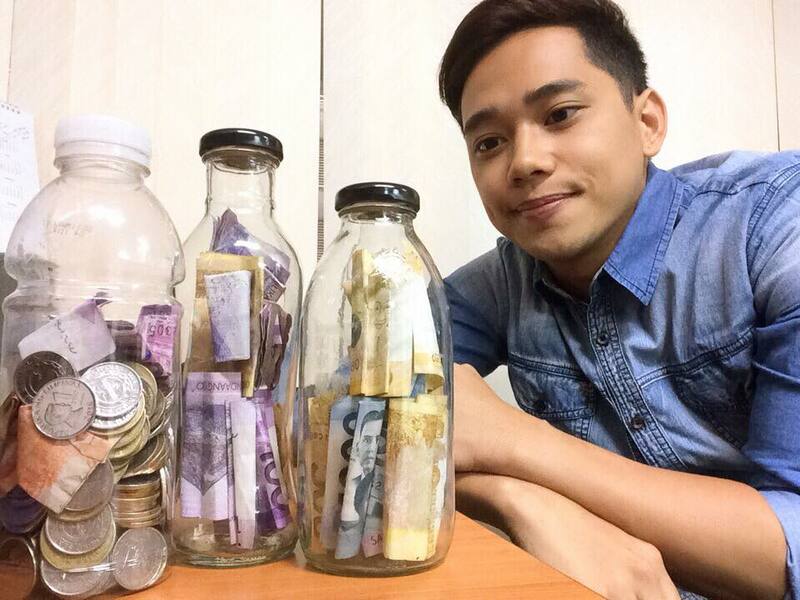 Soon enough, Antonio was able to fill 7 bottles with his coins along with bigger denominations like P20, P50, P100 and even P500 bills. Because of the money-saving habit he developed. Antonio was able to fill more than 30 bottles. 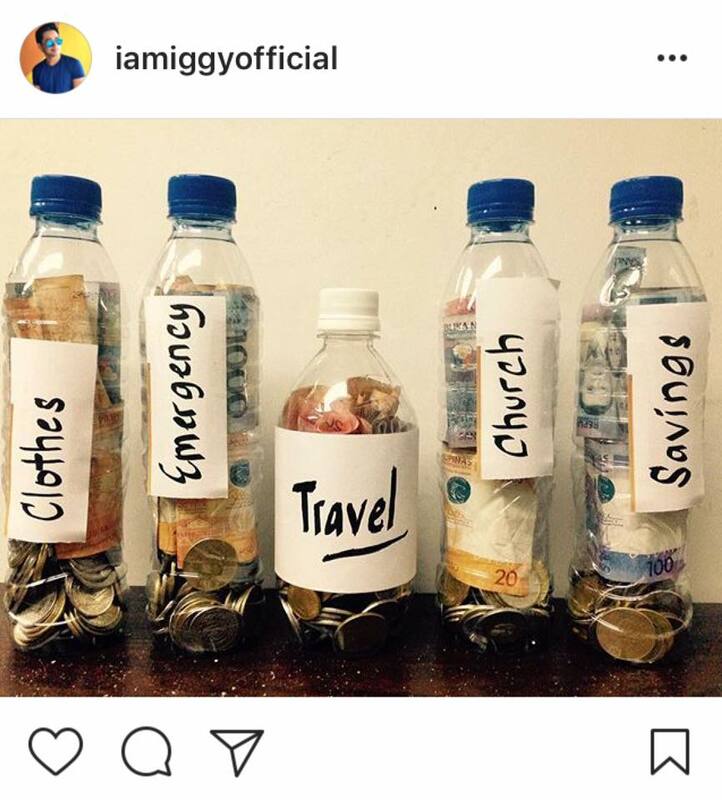 Although Antonio revealed that he has a small income, he was able to save such amount by allocating 10% of his salary to tithes, 30% on his savings in the bottle, and 60% for monthly expenses. He also changed his lifestyle and bought instant-coffee rather than going to Starbucks. Antonio had put half of his savings inside the bank and intends to invest the remaining half on business. “Sa loob ng 8 months, nakaipon ako ng 54,653 Isang paper bag (nilipat ko na mula sa bote) kasama na yung mga barya. Ipinasok ko na agad kalahati nito sa bangko kasama lahat ng mga barya para mas makatulong sa gobyerno. Okay? haha. Kalahati naman nasa business para palaguin pa,” Antonio wrote.